Xiaomi India Teases New Launch With "Switch to Smart": Mi Box or Smaller Mi TV? [UPDATE] Xiaomi India Teases New Launch With “Switch to Smart”: Mi Box or Another Mi TV? Xiaomi recently debuted the new Mi TV 4 in India. With a price tag of just Rs. 39,999, the Mi TV 4 made a splash in the market. However, it looks like is going to launch a new product very soon. Xiaomi India chief Manu Kumar Jain tweeted a teaser image said something new is coming. The tweet says, “It’s time to switch to something smarter, slimmer and sleeker,” with the tagline #SwitchToSmart. Yes, in case you’re wondering the hashtag “SwitchToSmart” is also the tagline of Orient Electrics, but let’s keep that aside and focus on the launch. From the picture tweeted by Jain, it looks like Xiaomi could be bringing its Android-powered Mi Box to India. Xiaomi has already entered the home entertainment space in the country with its new Mi TV 4, and it makes perfect sense for them to launch a Mi Box and disrupt the market further. Xiaomi’s new Mi TV 4 runs on a custom OS called PatchWall. Although there are speculations that the TV will support Android TV and Google Play Store apps, there’s no official word on that just yet. 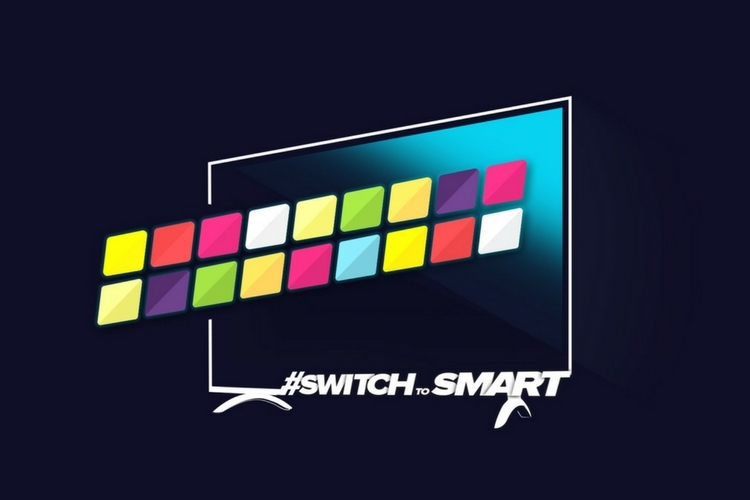 The Mi Box could be the perfect solution, plus the fact that it also makes a regular TV or monitor into a smart TV fits perfectly with the #SwitchToSmart tagline. With the launch of Mi Box in India, Xiaomi would be competing with the likes of Apple TV, Amazon Fire TV, and others. However, with an aggressive pricing strategy and strong brand reputation, this could be yet another successful launch for Xiaomi. That being said, some of our sources have indicated that the company could be launching a smaller-sized Mi television. As you may or may not know, Xiaomi’s Mi TV 4 has a 55-inch 4K panel. Launching a smaller sized TV would make Xiaomi a strong contender in the TV segment. It is currently being speculated that the smaller TV could be called Mi TV 4 Lite. As mentioned earlier, the teaser doesn’t give out much about the launch. Whatever it is, we hope to find out soon. So be sure to stick around for more details around this.